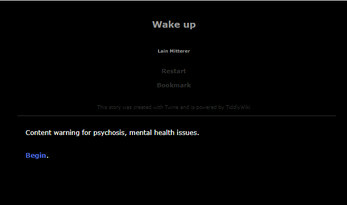 "Wake Up" is an older project (2015) made not long after (and partially during) my first psychotic episode. It was created as a uni project, and recently re-found and uploaded, in the hopes of sharing some of my experiences. Everybody experiences psychosis differently, and this is my experience.